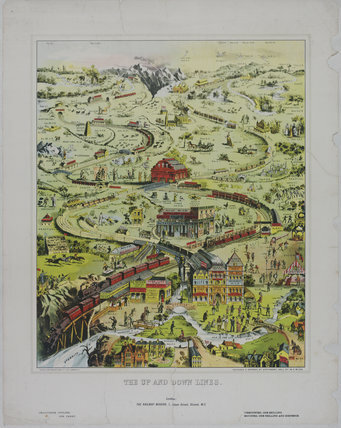 Poster, 'The up and down lines' by The Railway Mission. Moral cartoon, 1920. Construction workers on the Shell building London, 16 June 1932. 'The March of Intellect' - 'Lord, how this world improves as we grow older', 1829.